So last week I joined a gym and started working out. Enter a whole new world of comfortable exercise-based sneakers and add that to my sneaker obsession. Of course the casual observer would say focus on exercising and just sustain basic comfort but I live and breathe style, so I am always on multitask mode. So when I saw that these were released at places like Kicks Hawaii I sort of impishly smirked. 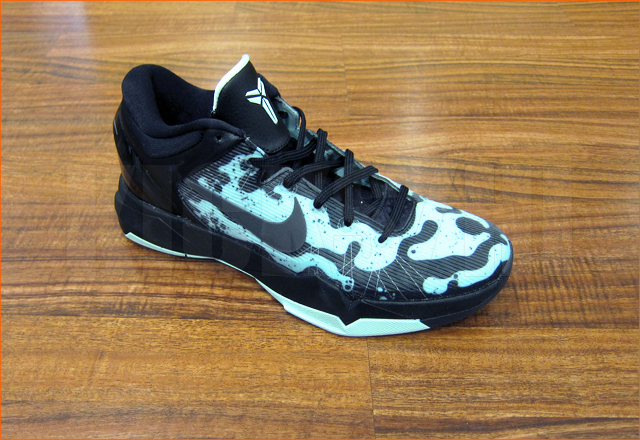 This new Kobe VII System in Mint is colored after the colors of th poison dart frog, great weight shoe for cardio and weight-training and just the right punch I need to liven up my neutral gym clothes and distract onlookers from the comedy of this guy trying to get his muscular mojo back. Head on over to KicksHawaii blog, they ship! !